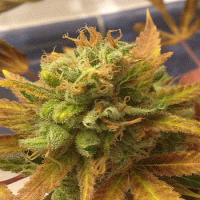 Baby Boom Auto Feminized Marijuana Seeds by Kannabia Seeds: BABYBOOM!! As its name suggests... small but lethal. 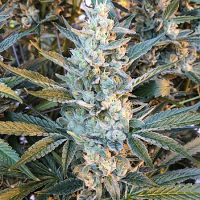 This tiny powerful plant is the result of a cross between Rudelaris and Northern Light x Blueberry. The Northern side brings touches of pine, earth and old wood. but, when crossed with Blueberry, the Blue essences result in dry and sweet-and-sour aromas reminiscent of plum jam. 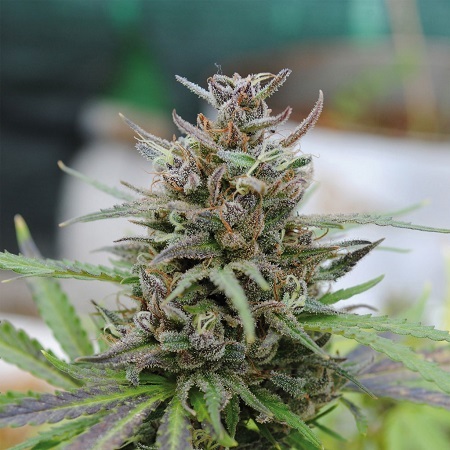 This plant will bombard you with highly cerebral effects, mixed with a significant relaxing effect, which may have you pinned to the sofa if you don´t keep moving! The plant is of medium- height with a short internodal distance and a continuous production of buds and broad leaves of an intense dark green colour (mini indicas) which flowers with purple and bluish tonalities. This cross produces a variety which is easy-to-grow but quite sensitive to over fertilization so light slow-release fertilizers are recommended to avoid issues.